Very friendly service. And they use not harmful chemical substances for pets. Good service, person showed up on time. Pests are gone. I have been a client for about three years. They are always courteous knowledgeable and dependable. So far so good. I have no complaints at this time. Great job. No mice or bugs. Very friendly and informative. When something extra should pop up they come back with NO extra charge. That's loyal! Verry happy with your service! Polite in every way. Thank you Insite. Our family has been using Insight Pest Solution for over two years now with quarterly treatment. The result is astounding. We used to have ants and little critter coming into the house during the summertime, but after the treatments, we noticed that there is not even one insect coming into the house all year round. The technician Luxene is so professional, courteous, and accommodating that he is the best. I would recommend Insight Pest Solution 100%. -- the Lee family. Very good technician. Polite and knowledgeable. I am very happy with your service. Your people and Luxene, are very knowledgeable and friendly. I did get a service card the last time when I was not home when he came. Found it a few days later, wedged between my front door and screen door. I usually leave and reenter the house via the garage, as you will understand. I wish you and your crew a wonderful December month, a Merry Xmas and a Happy and Healthy New Year. Great service. Always on time and does a great job. Highly recommend! Insight has been wonderful and always checks in before servicing my property. The problem I was having with spiders they have handled and continue to inspect that area every time they service my property. The repeated service provided is always to my satisfaction. My experience with each service representative has always been knowledgeable and professional. This is why I'm confident in recommended the service to friends and family. In all the years that i use insights i never had any problems with service or bugs, all my family and friends use insight. John. Insight Pest has the most knowledgeable technicians/staff in my region that I have used in the past 28 years with this kind of service. They have an entire plan on how to keep insects out of your home. I have found that you need to treat not just for what you see, but for what you don’t see. I’ve been with them three years plus and I am very pleased with their services. I’ve been using Insight for a few years now and have been very happy with their service. I get the same technician (Luxene) all the time and he knows my house well. They come 4 times a year and only charge my credit card after they come for service. I always get a notice before they come and they ask if I have any pest problems before they get here. I once had a wasp nest the size of a softball and Luxene took care of it. Insight is great, very professional. Since I've had your service no bug would dare come into my house. Highly recommend your service. Great job!! Eileen Pringle. Insight does indeed relieve clients of pests. They come, they spray, they conquer. And if you find another problem they come back to take care of it at no charge. So glad they found me; they deserve the highest rating. We've had no bug problems!! Insignt Solution does a good job with spraying for insects and outside bugs. Great service, people are nice and helpful. If I have any questions or concerns they promptly resolve. Very knowledgeable & courteous employees. Love the 2 hr appointment window and "heads up their way to your home". I'm very pleased with Insight Pest Solutions. I've been with the company since its inception. The workers are always thorough, as well as very professional. Their reports are detailed. They're. respectful of my property and my house. I would highly recommend them. Service is fine But waiting to hear from Jason when you plan to finish the treatment to my outside yard. 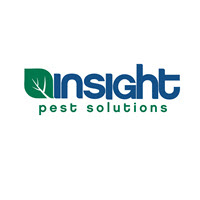 I am very happy with Insight Pest Solutions! Every service individual who has come to the house has been exceptional. They listen to your needs and, they are very thorough in every aspect of their work! I would highly recommend this service company! Great service and always friendly.